In the last year, Samsung has released three different smartwatches in an apparent attempt to iterate and get out ahead of the pack with a viable product that's actually useful. Today, we're getting a look at Samsung's master plan here: It wants to develop the central open platform for all the the data your wearables collect, and by extension to become the platform for which all of these devices are made. A bit like it's trying to be to wristables what Android was to phones. 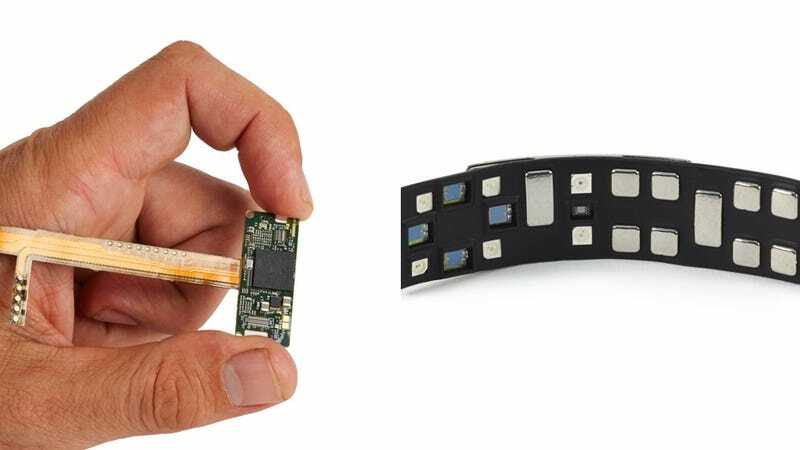 Part of today's announcement is a piece of reference hardware called the Simband, a wristable designed for interchangeable body sensor modules. This isn't a consumer product yet, but Samsung thinks this is future of how we understand our bodies. Theoretically, any type of sensor could go in the device. Samsung hopes to use the reference design as the basis for developing and tweaking hardware and data processing algorithms. The overall health and fitness concept is supposed to encompass not only hardware but also a standardized approach to health and body statistics, that'll allow manufacturers to develop new ways of collecting and processing data. Called the "Samsung Architecture for Multimodal Interactions" (SAMI), the new open cloud-based software platform for storing and bringing together data from disparate sources. The health and fitness data platform's announcement is auspiciously timed ahead of the anticipated launch of Apple's Healthbook, a rumored application for iOS that would collect all matter of health data in a single interface. It also seems to be similar to what Google is going for with its development of the Android Wear OS for wearable devices.